How could you tell the difference between common Roman soldiers and their officers? 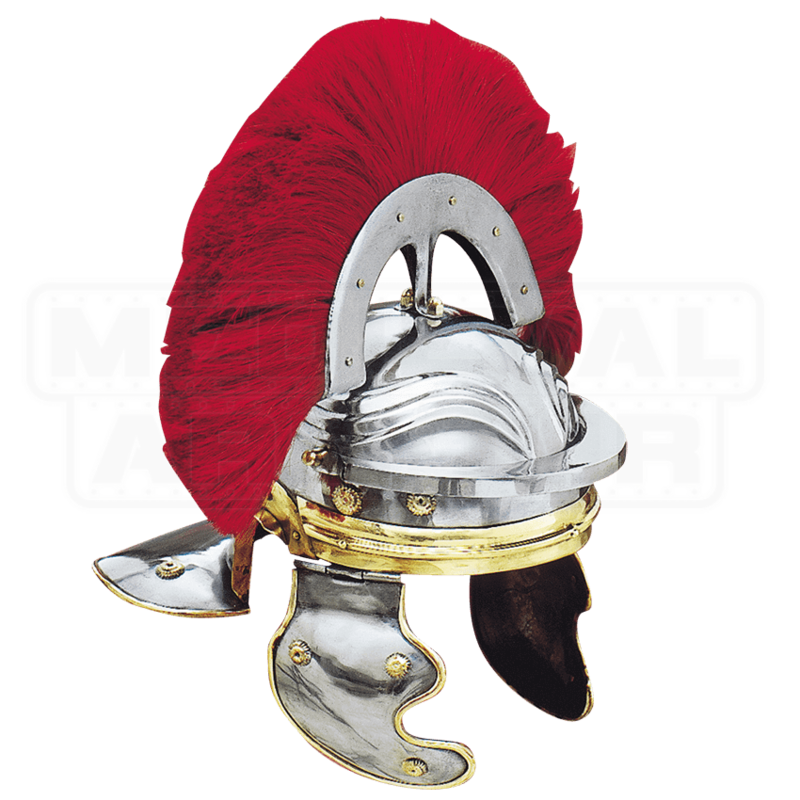 Centurions often wore helmets that indicated their rank utilizing a crest across the top, just as the Imperial Italic Centurion Helm with Red Plume shows. With the exception of the red hair crest across the top, this helmet is virtually the same as a classic Roman troopers helmet, featuring an extension in the back that is designed to protect the neck, as well as a short visor on the forehead and a pair of hinged facial protectors on the sides of the face. Across the top of the helmet is a transverse-crest of red hair, which historically is theorized to signify the wearers rank. The helmet is made from quality metals and features an attractive polished-metal look. Also adorning the helmet is a number of elegant brass ornamentations, which enhance the overall look of the helm. For an authentic centurion look, one of the key pieces to wear is an effective helmet, and you cannot ask for a better one than this Imperial Italic Centurion Helm with Red Plume.